Baseboards are the foundation of every model railway and if poorly made can lead to much frustration, disappointment, wasted time and money. Despite this, many modellers often skimp or rush their construction in their eagerness to get on with the more interesting parts of building a layout. The book gives a complete introduction to the basic tools, materials and techniques needed to construct a foundation for a layout of any size or scale. Starting from the traditional solid top baseboard and working through to more advanced designs, step by step guides demonstrate the techniques for assembling one of the most important components of your model railway. In addition topics such as making your layout portable or transportable, fascia panels, methods of joining baseboards together and the legs that support them are discussed. This book will appeal to both beginners to the hobby and those who are about to embark on the construction of a new layout. 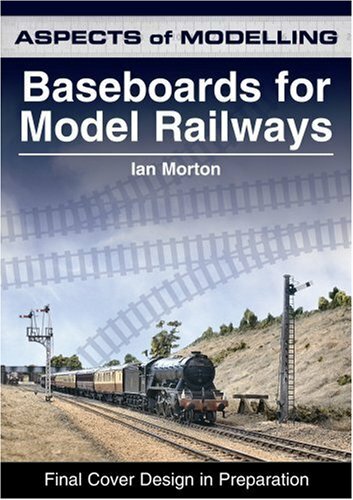 It offers a useful reference guide to the wide variety of baseboard types and materials available to the railway modeller. ISBN: Baseboards are the foundation of every model railway and if poorly made can lead to much frustration, disappointment, wasted time and money. Despite this, many modellers often skimp or rush their construction in their eagerness to get on with the more interesting parts of building a layout. The book gives a complete introduction to the basic tools, materials and techniques needed to construct a foundation for a layout of any size or scale. Starting from the traditional solid top baseboard and working through to more advanced designs, step by step guides demonstrate the techniques for assembling one of the most important components of your model railway. In addition topics such as making your layout portable or transportable, fascia panels, methods of joining baseboards together and the legs that support them are discussed. This book will appeal to both beginners to the hobby and those who are about to embark on the construction of a new layout. 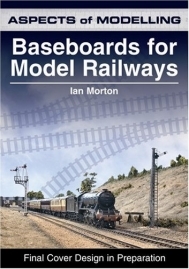 It offers a useful reference guide to the wide variety of baseboard types and materials available to the railway modeller.